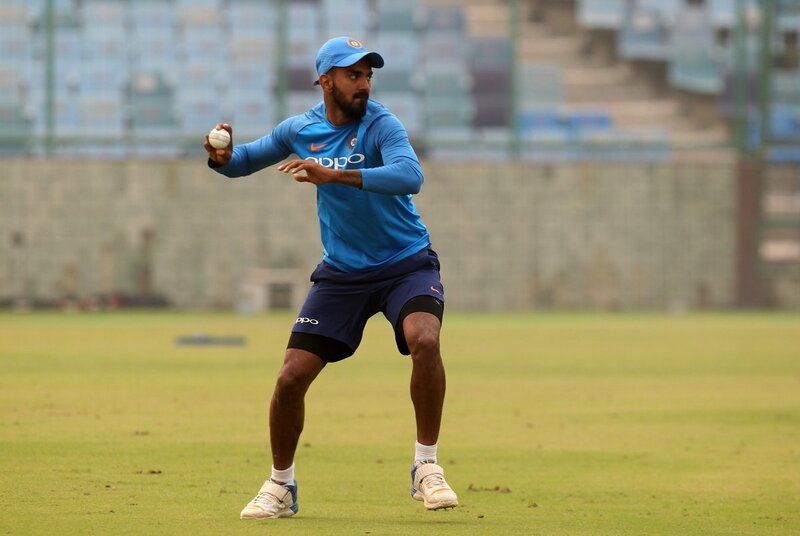 Rajkot, Nov 4: After a brilliant show in the first match, India will aim to seal the three match series when they take on New Zealand in the second Twenty20 International (T20I) at the Saurashtra Cricket Association Stadium here on today. India, currently lead the series 1-0 with a comprehensive victory in the first match at the Feroz Shah Kotla Stadium in Delhi and in the upcoming match, India are also the favourites because of their recent form and the conditions. The hosts will once again heavily rely on the openers Rohit Sharma and Shikhar Dhawan, who blasted identical half tons to set the tone with a 158-run record opening stand and guide the hosts post a massive 202/3. Apart from them, skipper Virat Kohli will also play a crucial role in the batting department along side middle-order batsmen Hardik Pandya and Mahendra Singh Dhoni. After the retirement of veteran pacer Ashish Nehra, Kohli could now play with the four bowlers or might include wrist spinner Kuldeep Yadav in the playing XI becaue of the conditions. On the other hand, New Zealand, who were outplayed by the hosts in the first match will look for a better outing this time. But for that the New Zealand will have to improve their bowling and fielding. Skipper Kane Williamson also rued his team's poor bowling effort for the loss to India. So they need to step up in this department in order to equalise the series. Their batting department seemed sorted as apart from last match, their middle-order batsmen played brilliantly. But in the coming match, Williamson might include experienced batsmen Ross Taylor in the playing XI to give more depth. In the bowling department, their spinners-- Ish Sodhi, Mitchell Santner will have to step up to the occasion along with fast bowlers Tim Southee, Trent Boult, Colin de Grandhomme because they failed to create problems to the Indian batsmen in the first match. So, if the New Zealand fielders performed as expected from them and bowling did their job, the visitors might trouble the hosts in the second match and could also level the series.